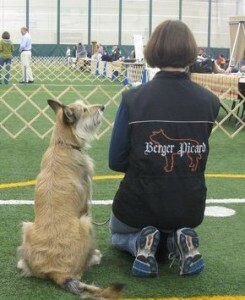 The Berger Picard was accepted in AKC’s Foundation Stock Service in April of 2007. The Foundation Stock Service is a record keeping service for all purebred breeds not currently registerable with the American Kennel Club. This is AKC’s way of maintaining the integrity of the breed’s pedigrees and ownership records until significant numbers and interest are obtained on rare or new breeds. 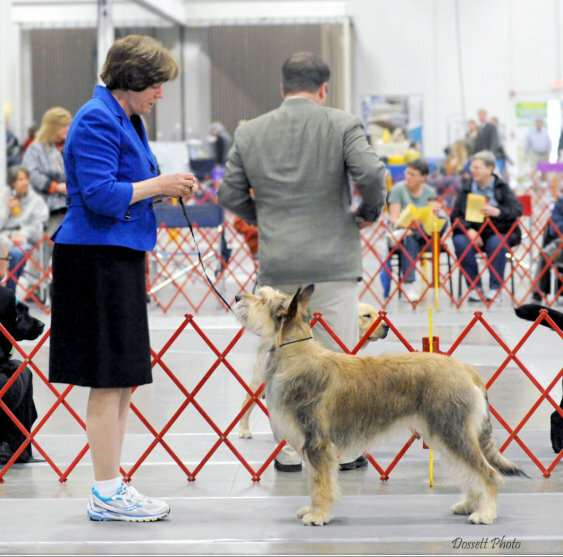 It is also the first step of many to full recognition with the AKC. The first Picard to earn an AKC Certificate of Merit! The Berger Picard moved into Miscellaneous Class in January of 2013. By following the guidelines on the FSS program page, the BPCA has met the goals for full recognition. The AKC Board voted to move the Berger Picard into full recognition at the April 2014 board meeting. The Picard moved into the Herding group July 1, 2015. The Berger Picard Club of America became a delegate club at the September 2016 meeting of the American Kennel Club. Please continue to register your dog, even if you don’t have plans to show in the conformation ring. Registration means that your dog will be eligible to compete in herding, agility, obedience, rally and even earn titles as a Canine Good Citizen and Therapy Dog. Also after 5 years of being in the herding group, the AKC studbook will close to American bred dogs that are not registered by then. So please continue to register your Picard. First Picard to earn an AKC Obedience title. The $35.00 registration fee, payable in U.S. funds – do not send cash. For an adult dog that has been imported: A clear and legible photocopy of the original Certificate of Registration indicating the dog’s registry and owner of record – do not send the original certificate. A clear and legible photocopy of the three-generation Certified Pedigree (or Export Pedigree, where applicable). If both the sire and dam of the dog are from Canada AND a product of European imports include photocopies of the parents pedigrees with LOF numbers to be able to verify three generations. Do not send the original pedigree. All foreign dogs being registered with the AKC are required to have positive identification. This section of the application must be completed to show: a) the type of identification (tattoo, microchip, DNA profile), b) the identifying information and its location on the dog, and c) the registry recording the identifying information. The identification may be done after the dog is in the United States, but prior to AKC registration. Two three-by-five-inch color photographs, providing close-up front and side views of the dog in a standing position, are required. We recommend a word document with the dog’s name, date of birth and foreign registration number with the photos inserted. To register a dog that was born in the United States, your breeder should have registered the dog for you or at LEAST given you a litter registration form that you must send it to have the dog enrolled. If you have a litter registration form, follow the instructions that are on the form. If you do NOT send this paperwork in, your dog is not registered with the FSS. for registering the litter and full registration of all the puppies. 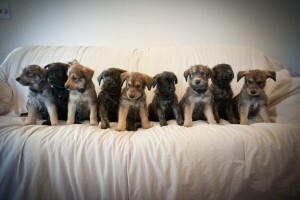 This ensures that all the puppies registrations are done and sent in. The cost is nominal and the registration papers go straight to the new owners. 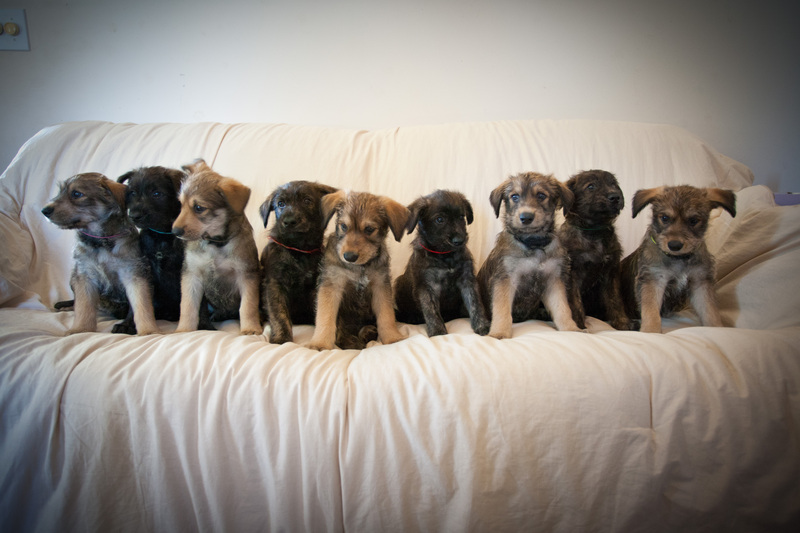 With full recognition, breeders may also register their litters on-line.